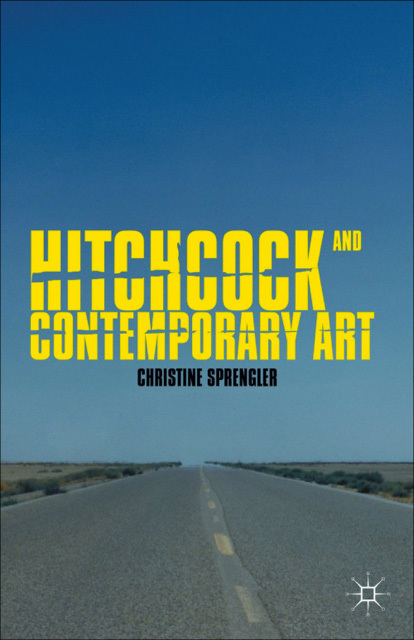 Christine Sprengler’s research focuses on cinematic installation art, new media art and the relationships between cinema and the visual arts. 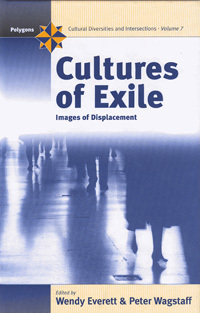 Cultural memory and nostalgia in visual culture have also become interests as well as representations of history in contemporary (British and American) cinema and television. This research is concerned with the various ways in which the Fifties (as a construct that is somewhat mythic, largely nostalgic and, to a point – I would argue – historical) has been mobilized in visual culture since the 1970s. My research into the social, cultural and political implications of this construct is motivated and structured by several interconnected questions: What sort of entity is this category we call the Fifties? How do we begin to make sense of something that pervades so many aspects of life? Something recognizable, identifiable and thus generating a degree of consensus about what it is, but at the same time rife with contradiction and ambiguity. Something fluid, evolving, and existing in multiple forms and used in the service of multiple agendas. How do we circumscribe the Fifties, or justify the parameters used to include its constituent parts? And if indeed a working definition or general ontology is possible, how might we set about assessing its functions and significance, historically and historiographically speaking? Part of this project involves identifying and analyzing some of its key manifestations including the ‘Lounge Fifties’, ‘McCarthyite Fifties’, ‘(Meta)cinematic Fifties’, ‘Levittownesque Fifties’, etc. 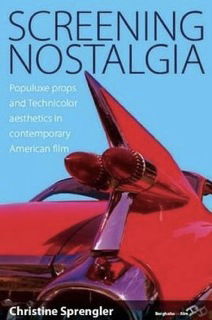 Screening Nostalgia: Populuxe Props and Technicolor Aesthetics in Contemporary American Film (Oxford: Berghahn Books, January 2009); Paperback, 2011. “The Future of History in Dennis Potter’s Cold Lazarus”, in Tobias Hochscherf and James Leggott, eds. British Science Fiction Film and Television, McFarland, 2011. “Complicating Camelot: Nostalgia and Deliberate Archaism in MadMen” in Scott F. Stoddart ed. 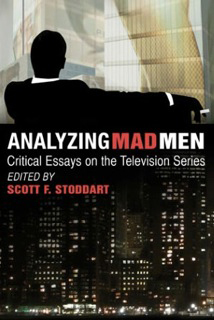 Analyzing MadMen: Critical Essays on the Television Series, McFarland, 2011. “The Vestiges of Vertigo in Contemporary Art: Cindy Bernard, David Reed and Douglas Gordon,” in Douglas Cunningham ed. 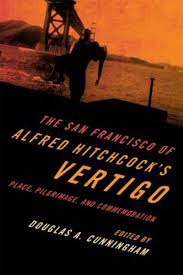 The San Francisco of Alfred Hitchcock's Vertigo: Place, Pilgrimage, and Commemoration, Scarecrow, 2011. 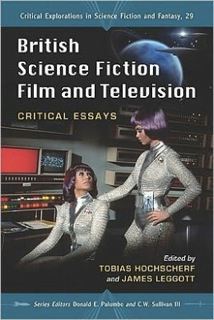 “Cinema and the Visual Arts.” In Oxford Bibliographies in Cinema and Media Studies. Ed. Krin Gabbard. 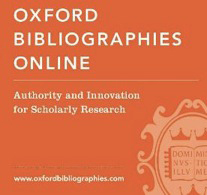 New York: Oxford University Press, 2012. “‘In a Hundred Years of Cinema…’: Cultural Memory and Musealization in Harun Farocki’s Workers Leaving the Factory in Eleven Decades,” in Gabriele Muller and Peter McIsaac, “Exhibiting the German Past: Museums, Film, Musealization,” University of Toronto Press, 2015. “Modern Art and Retromediated Histories: Pleasantville and Far From Heaven” in Jilly Boyce Kay, Cat Mahoney, and Caitlin Shaw, eds. The Past in Visual Culture: Essays on Memory, Nostalgia and the Media. McFarland, 2016. Co-curators: Mark Cheetham, Andy Patton, Christine Sprengler, Conspiracies of Illusion: Projections of Time and Space, August 28 – November 3, 2012, McMaster Museum of Art, Hamilton, Ontario.